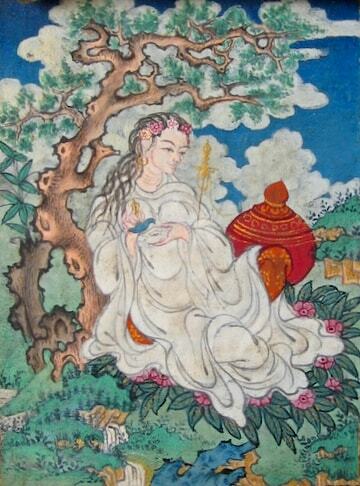 From the Collected Works of Lochen Gyurme Dechen (1540-1615), Rubin Museum of Art. Niguma was one of two great dakinis who founded the Shangpa Kagyu school of Vajrayana Buddhism. 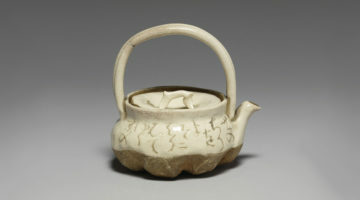 Although not much is known about Niguma’s life, her teachings had a significant impact on Buddhism. Alongside the dakini Sukhasiddhi, she is one of two female founders of the Shangpa Kagyu school of Vajrayana Buddhism. Not much is known about Niguma’s life, but her teachings had a significant impact on Buddhism. Niguma developed esoteric instructions, treatises, and practice manuals. 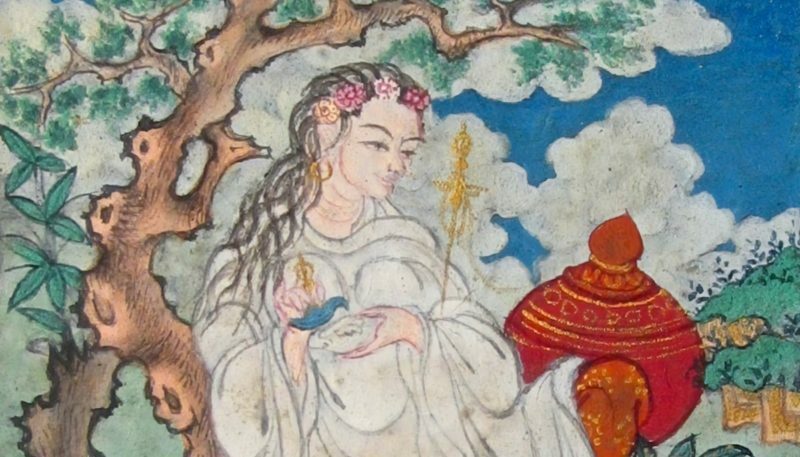 Within the collection of commentaries in the Tibetan Buddhist canon, called the Tengyur — part of the core of the Tibetan Buddhist tradition — seventeen texts are attributed to Niguma, though they were likely written by her student Khyungpo Naljor. Niguma is said to watch over the holders of the lineage with impartial compassion, blessing them and compassionately overseeing the success of their activity. 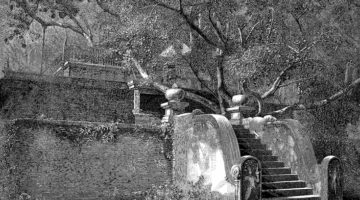 Niguma’s birthplace was most likely near Kashmir, a hub of Buddhist tantric activity. She is thought by some to be the sister of Naropa, the famous Vajrayana Buddhist teacher, although others suggest that Niguma was Naropa’s consort. There is often confusion and overlap between the biographical details of Niguma and Naropa’s respective lives and accomplishments. The dakini Niguma’s place of birth was the Kashmiri city called “Incomparable.” Her father was the brahmin Santivarman. Her mother was Shrimati. Her real name was Srijnana. She had previously gathered the accumulations for three incalculable eons. Thus, in this life, based on the teachings of the instructions by the adept Lavapa and some others, she manifested the signs of progress in the secret mantra Vajrayana, and attained the body of union. So her body became a rainbow-like form. 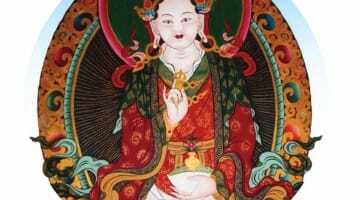 She had the ability to really hear teachings from the great Vajradhara. Having become a great bodhisattva, her emanations pervaded everywhere and accomplished the welfare of beings. Harding points out that Niguma’s life story consists of only six folios, while that of her student Khyungpo Naljor consists of forty-three. According to scholars, Niguma had high-level realization, attained rainbow body, and received teachings directly from Vajradhara — the tantric form of Shakyamuni Buddha. It is said that Niguma cultivated the Buddhist path in previous lives, so that in her lifetime she directly saw the truth of the nature of phenomena just by hearing basic instruction from a few adept masters.